When you decide to start a business or you are in a market already, then you must continue reading. 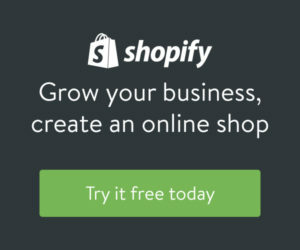 You need to know some best ways to request customers to use your service. You may have the best experience, but people look into your approach. 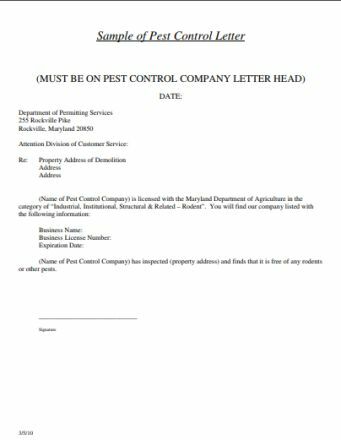 Therefore understand how to write Pest Control Request Letter and lure all the customers to use your pest control service. This business needs more attention as already clients feel frustrated with pests and reach out to you for help. Hence you must do your homework correctly to give them a proper request for proposal and convince them to take your services. 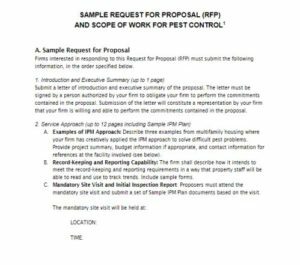 Let’s, move on to understand the right way to prepare a request letter for your pest control business. 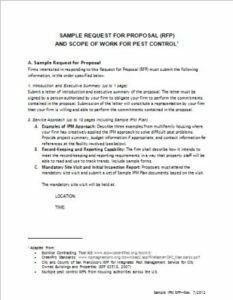 At the end of this page, you will not only know the details about a request letter but also feel glad to use the attached sample request letter templates and grow your pest control business by eliminating pest efficiently. Every company has a different proposal concerning their products, strategy, marketing, etc. Each page in the proposal document is based on the respective company’s plan of action.It doesn’t matter how long a company writes their proposal document unless it should follow the format and should be aligned with it. If you want, you can make a proposal on your own from the beginning. Otherwise, you can download a suitable template from the stock online. 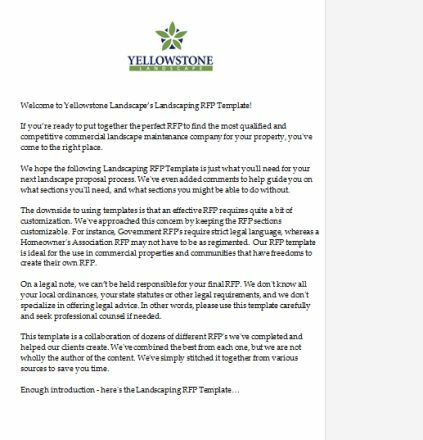 The template consists of a set of statements that includes instructions, key points, and pattern of writing style. 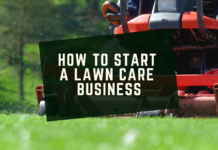 This will be a lot easier and can save your time. Before starting with your proposal, you can go through several examples of writing the one. 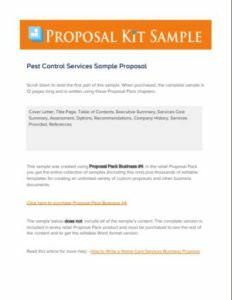 You can get an idea and outline all the necessary points to be included from the sample proposal pack. Let’s elaborate the above mentioned key points to have a better understanding. 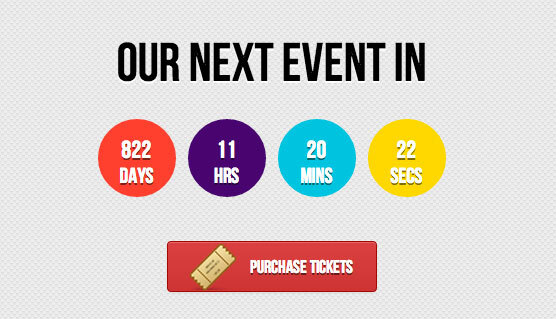 The About section will give a very brief introduction of your business proposal. It should be like a front page of your proposal document. Don’t forget the Tagline. 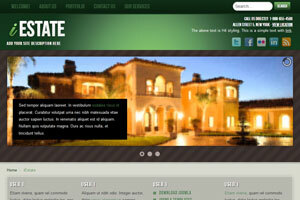 Tagline introduces your proposal to the client and the first and foremost thing, anyone can notice. It shouldn’t be lengthy and should be clear what it means. A lot can be said to the client through your proposal taglines. 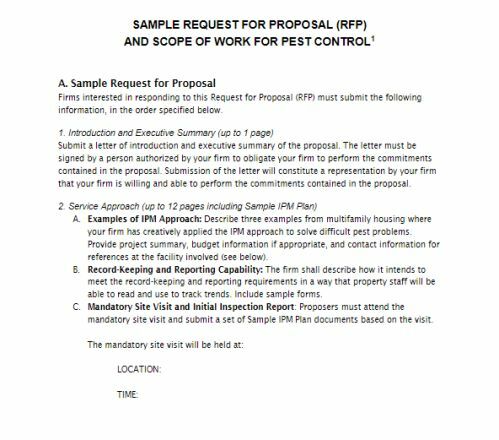 Ex; “Proposal for how to promote pest control services” etc. Summarize your introduction in the paragraph below the tagline. 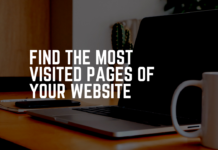 While writing the all-about-customer section, collect the data and research some facts that might help you in understanding the perception, need, requirements and grievances of the customer. You can then note down the following critical points in your proposal which can be helpful persuading a client. You can articulate your potential and convincingly make the client understand that why you are the best to do the job of resolving customer’s problem. In the next section, you can write about the services your company offers and how you are laying all your efforts in meeting the demands and requirements of the customer. Your functions should be well defined and facts based which are helping the customer in getting what they are looking for. Your service approach should be intimidating and can make the client understand it entirely. 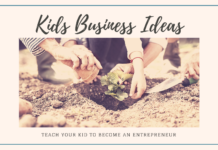 Write a section in brief yet meaningful section talking about your concern for the environment and how your company is contributing to making environment pollution free. Mention your techniques for managing waste, machinery used in doing the job, Managing Chemicals, if any, and what measures you are taking in dumping chemical waste, explain how your approach is for Green and Clean Environment. Last but not the least, write a detailed section elaborating why are you the best choice and why should a customer go for your service. Craft your potential in your proposal and continuously remind client how you always try to resolve the customer issues, meet their demands and offer them the required service following hand on techniques and latest trends of the industry. 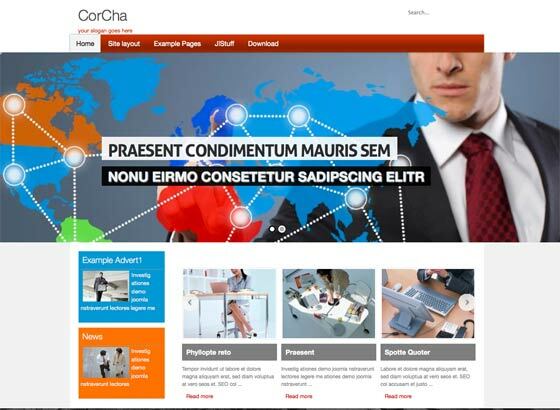 Showcase your achievements, accolades received from customers, feedbacks, testimonials and short case studies, etc. In the end, try to mention what next step should be taken like you can either attach a request form or a copy of the agreement. Including the contact details like Email, website Links, Telephone or Mobile numbers, etc., to call right away for taking immediate action, you can also have quote a price form where the reader can fill all their details and fix a meeting with your executive. Using a downloaded template and then modifying it as per your needs, you can propose your pest control business. Add company related information at the designated place in the template like Company Name and emblem. For your Pest control template, you can choose any creative design that displays your company correctly. If you want to add more information, you can choose more pages from your personalized Pest Control Services proposal Kit. You must additionally understand that making a spelling or a grammar mistake must be avoided in your request letter to get customers. 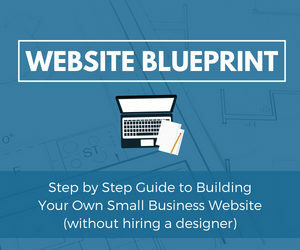 It may look silly, but these will help you to stand long-term in your business. You must show your professionalism at the first impression. 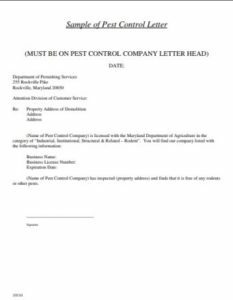 Don’t worry about this anymore as you can download professionally designed templates and just edit your company details and run your pest control business smoothly.